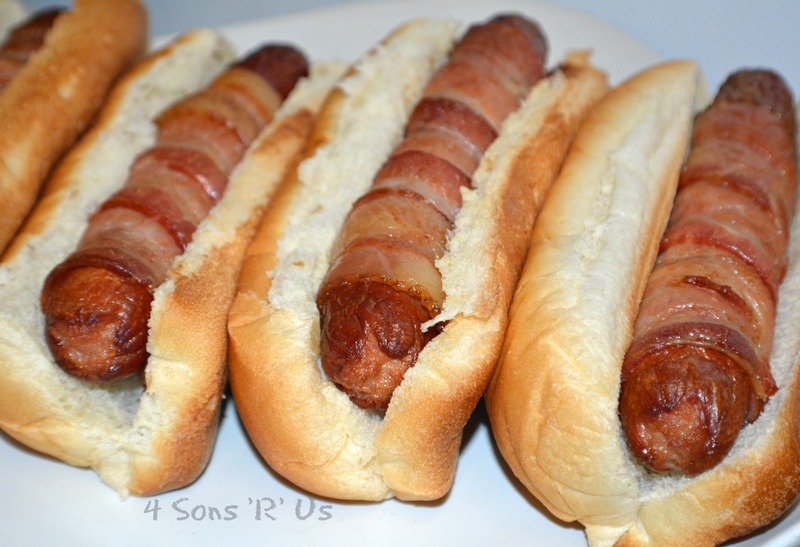 Today we’ve got another recipe for another quintessential ‘kid’ favorite, the hot dog. Who else loved these things? Lunch or dinner, serve ’em up slapped on a good bun with a healthy bit of ketchup, and we were in heaven. But as an adult, ketchup and mustard can get a little boring. No worries, the unexpected hot dog toppings in this rendition are certainly something to relish. These California-inspired dogs have graduated right along with us, taking the treat from nostalgic kid-fair and graduating into full-blown adult territory. Wrapped in bacon and then cooked to perfect hotdog/crisp bacon skin perfection, they’re then (best) served on your favorite bun, and topped with store-bought (or fresh) guacamole, with a hearty ‘sprinkle’ of your favorite shredded Monterey Jack cheese. Who said our childhood favorites couldn’t grow up too? 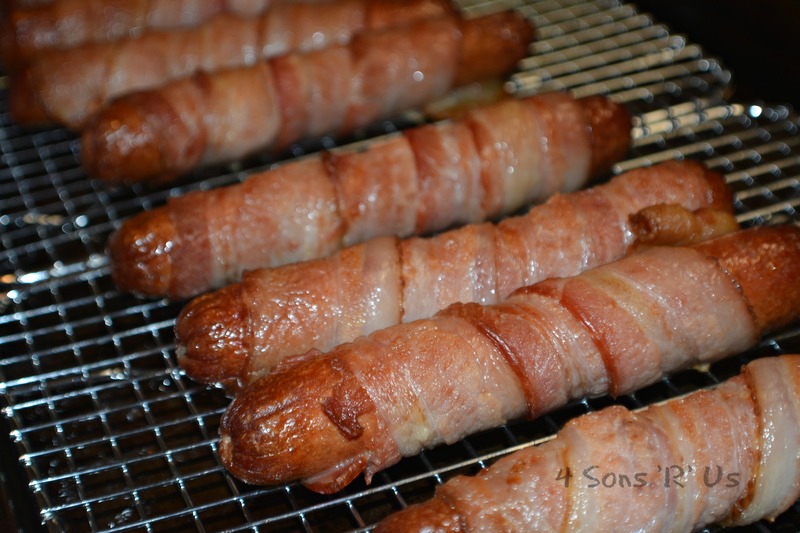 Wrap one slice of bacon around each hot dog and bake in a preheated 350 degree oven for 15 to 20 minutes. We put our hot dogs on our cooling racks, set on top of a baking sheet, to catch the grease, and have the, get crisp since they won’t be sitting in said bacon grease. 2. 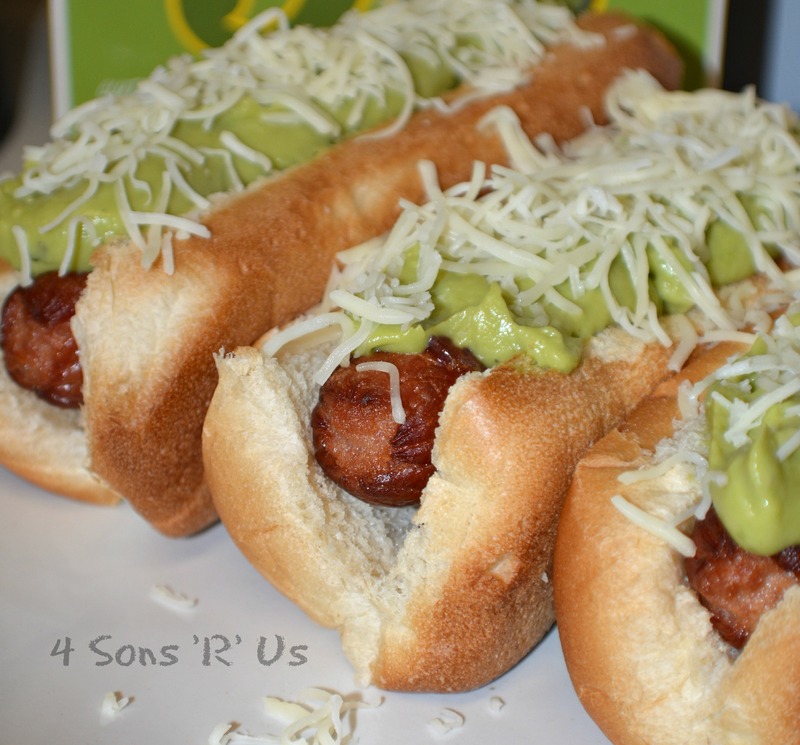 Place the cooked hot dog in a bun and top with guacamole and generous sprinkle of the shredded cheese. Great ideas! You’ve dressed up this dog! Never heard of this.. Yet want it for sure! Now that is what I call a complete dog… Thanks for sharing with us at Fiesta Friday #86. Happy FF! 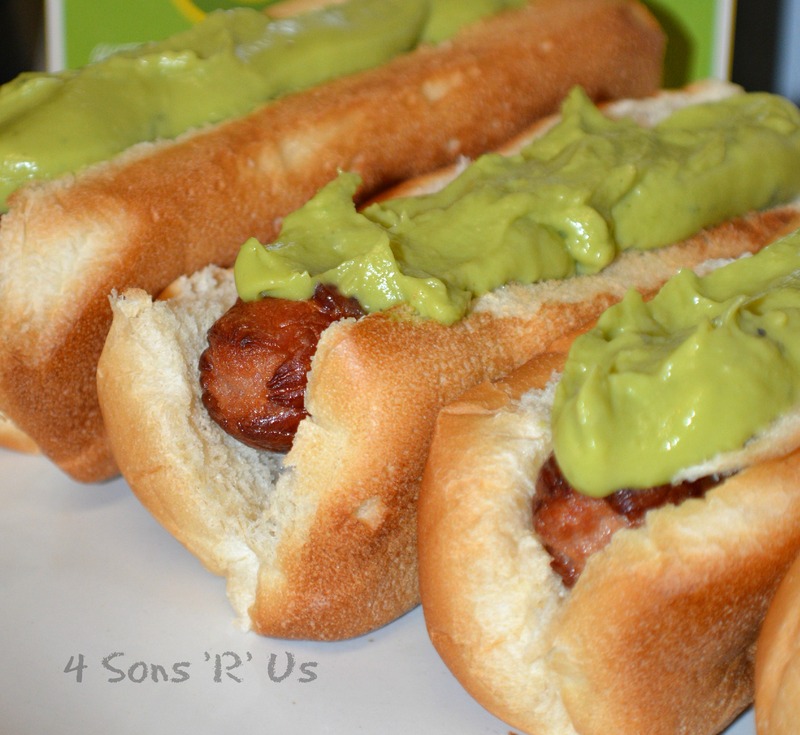 Love the gooey goodness of adding guac to these dogs. Yes! I love blending textures in my meals.